We've known for some time that Sony decided to remake / reboot Spider-Man but now it seems time Sony starts to rev up interest. Let's face it, the last swing around New York City with Spidey wasn't very well received by fans despite making plenty of money at the box office for the studio. Instead of continuing that story arc, Sony's decided to start over with "(500) Days of Summer" director Marc Webb behind the camera and fairly fresh faced Andrew Garfield as our new friendly neighborhood Spider-Man. Question is, how interested are people going to be in seeing a new moodier spin on something they've already seen? Sony seems to be well aware of that and has begun peddling an advertising onslaught that will explain exactly why "The Amazing Spider-Man" will be so much different. They are calling it "The Untold Story." See for yourself below. 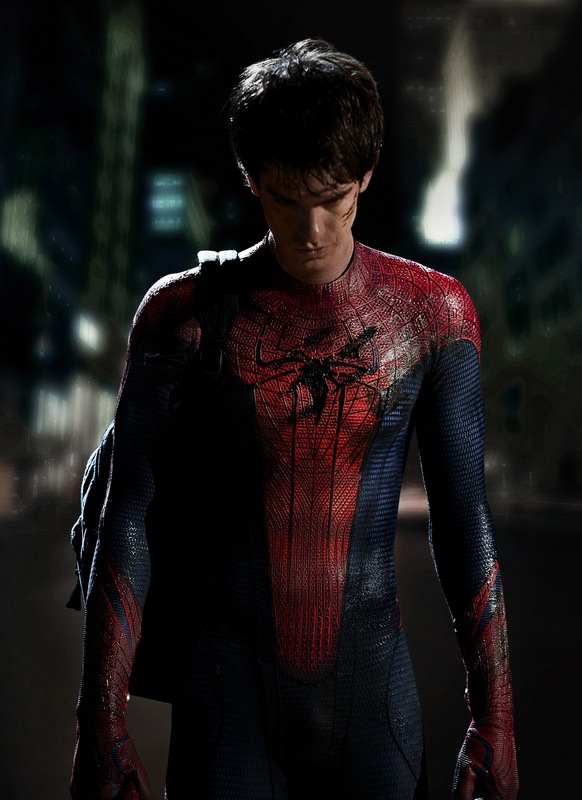 "The Amazing Spider-Man" is the story of Peter Parker (Andrew Garfield), an outcast high schooler who was abandoned by his parents as a boy, leaving him to be raised by his Uncle Ben (Martin Sheen) and Aunt May (Sally Field). Like most teenagers, Peter is trying to figure out who he is and how he got to be the person he is today. Peter is also finding his way with his first high school crush, Gwen Stacy (Emma Stone), and together, they struggle with love, commitment, and secrets. As Peter discovers a mysterious briefcase that belonged to his father, he begins a quest to understand his parents' disappearance – leading him directly to Oscorp and the lab of Dr. Curt Connors (Rhys Ifans), his father's former partner. As Spider-Man is set on a collision course with Connors' alter-ego, The Lizard, Peter will make life-altering choices to use his powers and shape his destiny to become a hero. Sorry, but that doesn't really sound like the "untold story" of Spider-Man. 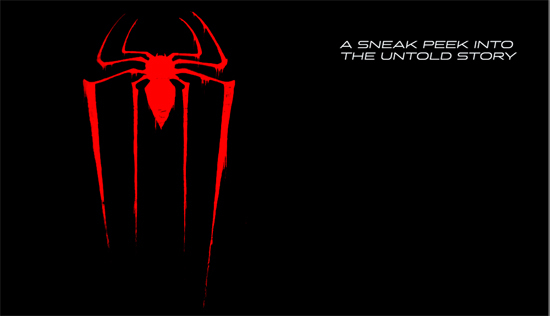 What that sounds like is another spin on Peter Parker and his past. Granted Sony is going out of their way to point out that we will get new backstory on Peter's parents, but that story seems pointless. Aunt May and Uncle Ben have always been the driving parental force in Parker's life, lurking around in why Peter's parents left him could end up just as a big of a waste of time as learning why Darth Vader turned to the dark side of the force (Well, let's hope its not that extreme). The one new thing that this reboot does guarantee is a look at is the Lizard, but even this point has a bit of a sting. Sam Raimi's 'Spider-Man' films featured Dr. Curt Conners and seemed to be building towards an eventual showdown between the two that I always wanted to see. Now we have a whole new arc of Conners to decipher where we find out he was a partner with Peter's dad. It doesn't take a rocket scientist to figure out whatever backstory Peter discovers between his father and Dr. Curt Conners, it will fuel the fight between the Lizard and Spider-Man. Reading this, you've probably gathered that I am not all that sold on this new spin on Spider-Man, and it seems that I'm not the only one. Sony recently unveiled a plan to screen scenes from "The Amazing Spider-Man" in select theaters around the world on February 6th to generate word of mouth and interest. Perhaps the studio is worried how well this darker, moodier, spin on Spider-Man will actually do? Are they second guessing the decision to reboot so quickly? As for the event, you can check The Untold Story Begins to see where the screenings are being held (and if any passes are still available). Most are outside of the United States. Sony has oddly only scheduled screenings in New York and Los Angeles within the U.S. and it appears that those screenings are already completely full. Perhaps Sony is really nervous about their overseas markets? I'm pulling for this film. I want it to be great. I am a big fan of Andrew Garfield and liked Marc Webb's direction with '(500) Days' but something just hasn't grabbed me with this reboot of Spider-Man. This new marketing strategy doesn't help either. If Sony really wanted to generate a lot of interest, maybe they should take a note from Warner Brothers' book and attach a select scene ahead of another one of their films like "The Dark Knight Rises" was attached to the latest 'Mission: Impossible'. They only have TWO theaters in the U.S. showing these scene screenings which isn't much. Their are plenty of fans out across America who may not want "the untold story" and still feel the sting from 'Spider-Man 3'. Sony has "Ghost Rider: Spirit of Vengeance" releasing in February and they could easily place a select scene from "The Amazing Spider-Man" ahead of 'Rider' to help pull audiences in to both see the new 'Ghost Rider' and simultaneously generate buzz for 'Spider-Man'. The decision almost seems to obviously. Will Sony do is yet to be seen and at this point seems unlikely.